TORONTO — Art of the Title was pleased to be among the speakers at the Gamercamp Interactive and Game Conference on November 1, 2013. The one-day summit – a small part of the 5th annual Gamercamp weekend – focused on discussions about design and innovation in digital, interactive, and game media, and brought together a mix of game developers, filmmakers, interactive designers, digital creatives, artists, hobbyists, and more. Editor Will Perkins and Managing Editor Lola Landekic delivered a 30-minute talk on Friday morning called “Talking Titles: How The Language of Cinema Changed Video Games.” The presentation encompassed the broader history of title design in Hollywood, the emergence of title sequences in video games, and the way in which games used the familiar visual language of film to introduce players to virtual worlds, characters, and stories. Video was also a major component of the presentation, which included our Brief History of Title Design and Brief History of Video Game Title Design (above) montages, as well as a look at the title sequences of Konami's Metal Gear 2: Solid Snake (1990) and Eidos Montreal's Deus Ex: Human Revolution (2011). 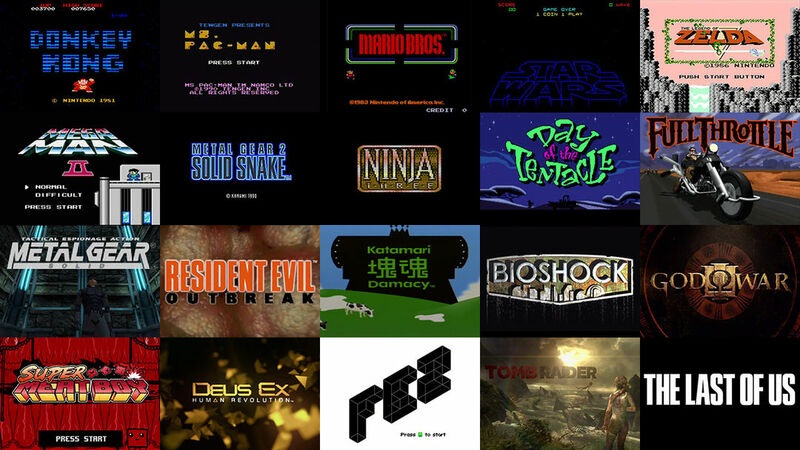 As we and the event's organizers had hoped it might, the Gamercamp presentation helped spark conversations about title design and the role that title sequences can play across different mediums. We were particularly pleased to read Mark Bertils' article The Art of the Title [Page]?, which briefly summed up our talk and theorized how title sequences might be applied to e-books and the world of publishing. We were thrilled to be invited to participate in Gamercamp this year and humbled by the great response our talk received. A big thanks to Gamercamp's organizers and volunteers, and especially those of you who were kind enough to come see us speak.